Far gone are those days when bathroom flooring had to be laid out in simple squares! 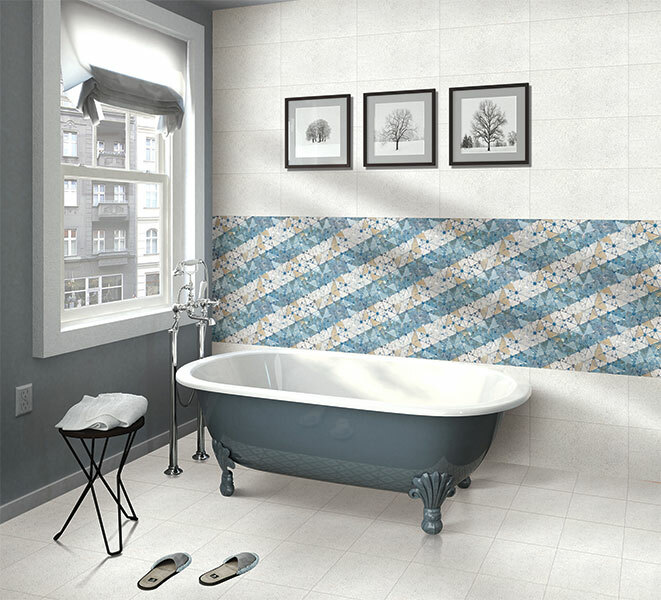 In today's time and age, tiles can be used to create any kind of design and style you want. Whether you go with the rich look of wood, the natural shapes of stone, or a unique pattern, there are so many ways to get creative and add a hint of your personality into your most used space in the house - the bathroom! Explore a little, and you are sure to find many modern bathroom designs! Natural stone look like tiles are a classic bathroom material that instantly adds a luxurious feel and beauty to space. Bathroom floor tiles are one such set of tiles that need to be absolutely non-slippery. Therefore, natural stone tiles are your best bet, both in terms of safety and looks! Go ahead and do a check board pattern on the floor that consists of a light neutral shade and a combination of darker stone-look tiles. This contrast between the two different shades will look sophisticated and be appealing to the eye. Today, you can easily find wood-look tiles in the market that are a perfect alternative to real wood in the bathroom because it holds up well to water, moisture, and everyday wear which is persistent in a bathroom space. These wooden look alike tiles are so much easier to clean that any homeowner would love and appreciate! This luxurious wood-like lodge will give you more space to walk around for errands and will give a great break to your bathroom design. 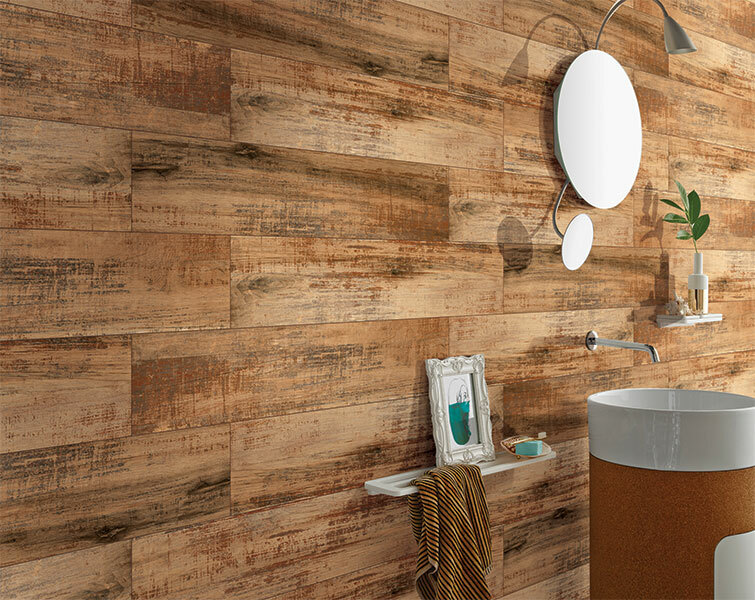 These tiles are bound to give you a real wood look! 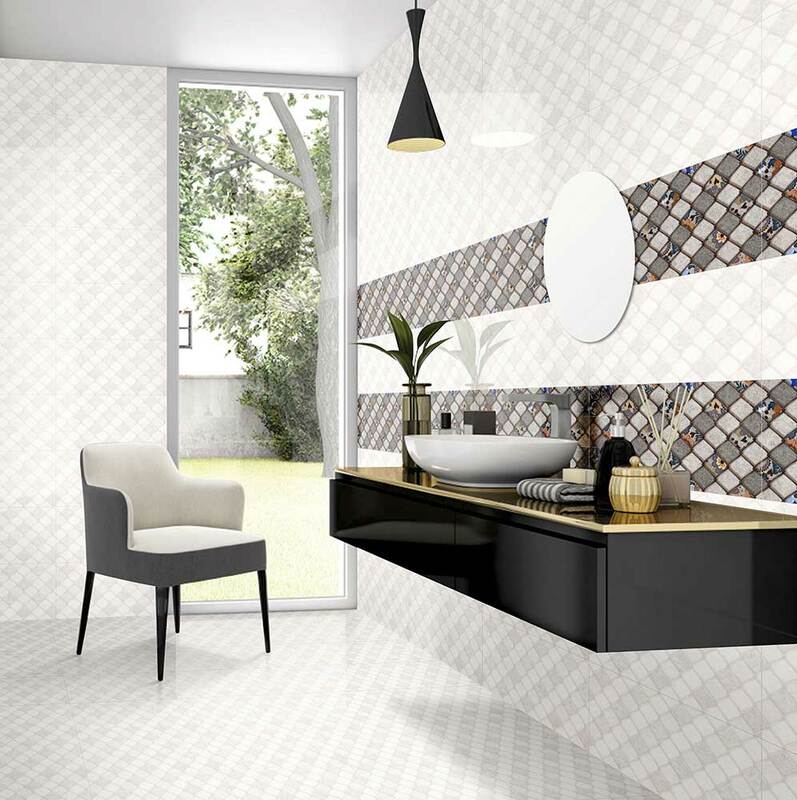 Matt in your bathroom for marvelous design: Matt bathroom tiles are bound to add high-end style to any room, but it looks especially striking and beautiful in the bathroom. Variations of different colours that run through marble give a look that resembles flowing water from a waterfall. It looks ultra-chic, trendy and modern, giving a clean and luxurious look. Glazed porcelain tile offers the same high-end look as a marble at a cheaper rate but has the versatility of porcelain. It comes in dew neutral shades and can be cut and shaped to the perfect fit and size for your space. The flooring you choose for your bathroom will serve as the foundation for the entire space. You can make the floor a focal point for someone who steps in. Go for a classic, clean, textured backdrop for the rest of the bathroom space. 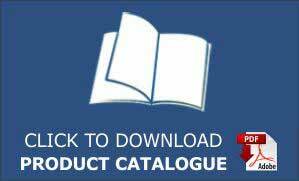 With innovative bathroom flooring options such as the bold, luxurious look of wood or the timeless, unique look of natural store, you will be able to create a bathroom design that you will love for years to come! If you loved reading the above article, then do come back for more such tips.